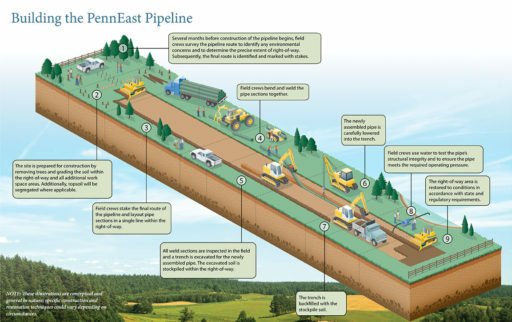 FERC has approved construction of the PennEast Pipeline, rejecting objections ginned up through an organized campaign funded by the William Penn Foundation. Although it will still need approvals from Pennsylvania, New Jersey and the Delaware River Basin Commission or DRBC (which has no actual authority over pipelines but to which PennEast agreed to submit), the PennEast Pipeline now has FERC approval. It came despite a parade of ridiculous objections raised by project opponents, many of whom, just like the DRBC, have been funded by the detestable trust-funders at the William Penn Foundation. The Delaware Riverkeeper’s assertions got particularly short shrift, in fact. I recognize that part of the reason that the record in this proceeding is incomplete is that landowners have denied PennEast access to their land for the purpose of conducting the necessary studies and assessments. However, the question whether landowners should be required to provide pipeline developers with access to their property for the purpose of determining whether it is suitable for a proposed pipeline is one that is and should be left to the states to decide. The Commission should not use the pipeline certification process as an end run around states and landowners that choose not to grant access to their property before a certificate is issued. 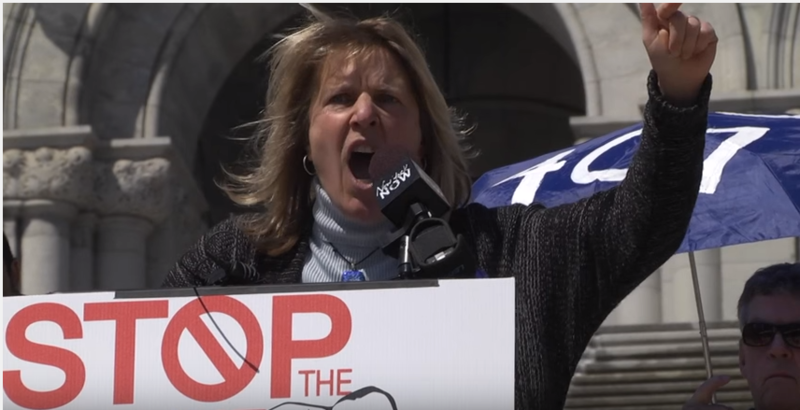 What Glick is arguing is that every pipeline project automatically be placed in a Catch 22 situation where it needs FERC approval to access land for environmental studies, but cannot secure such FERC approval without the information those very studies of land to which it is denied access would provide. This policy, if employed by FERC, would stop every new pipeline project, as no company would risk investing in a project where a handful of NIMBY landowners or anti-gas states could halt everything by simply denying access to critical information. This is the idiocy Flick proposes. Fortunately, the other FERC Commissioners in this case, facing a lack of some information due to the organized campaign of the Riverkeeper, et al to get landowners to deny access, resolved the problem by attaching a list of 56 environmental conditions requiring additional information. This common sense approach avoids unnecessary condemnation prior to certification while ensuring the information is eventually gained and utilized. There’s no “end run” — just a dose of practicality made necessary by the ideological opposition of uncompromising extremists enabled by the William Penn FoundatIon. That uncompromising strategy also flies in the face of some other naive comments about working together with landowners. There is nobody who doesn’t want to work with landowners as it’s the easiest way to move ahead but the reality confronted when special interest shills such as the Delaware Riverkeeper are part of the mix and telling NIMBY landowners not to cooperate takes things to another level. There’s no amount of talking or bargaining that will resolve issues when Maya van Rossum is on the other side of the table and FERC members ought to know this. She and her ilk aren’t interested in anything but war and they must be defeated. …allegations that the project is not needed because gas that is transported by it may be exported through an LNG terminal are not persuasive. There is no evidence in the record that indicates that the expansion capacity will be used to transport natural gas for export. A number of the project shippers are LDCs, which will locally distribute gas or use it to generate electricity. Further, even if there was evidence that some of the gas would be exported, the Commission does not have jurisdiction over the exportation or importation of natural gas. Such jurisdiction resides with the Secretary of Energy, who must act on any applications for natural gas export or import authority. PennEast has entered into precedent agreements for long-term, firm service with 12 shippers. Those shippers will provide gas to a variety of end users, including local distribution customers, electric generators, producers, and marketers and those shippers have determined, based on their assessment of the long-term needs of their particular customers and markets, that there is a market for the natural gas to be transported and the PennEast Project is the preferred means for delivering or receiving that gas. Given the substantial financial commitment required under these contracts by project shippers, we find that these contracts are the best evidence that the service to be provided by the project is needed in the markets to be served. 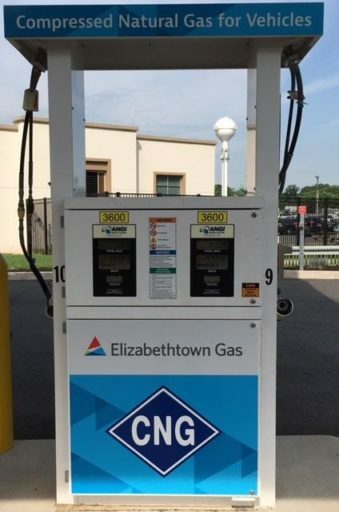 We also find that end users will generally benefit from the project because it would develop gas infrastructure that will serve to ensure future domestic energy supplies and enhance the pipeline grid by providing n additional transportation capacity connecting sources of natural gas to markets in Pennsylvania and New Jersey. Commenters also overlook the fact that shippers on PennEast’s system have noted several reasons other than load growth for entering into precedent agreements with PennEast to source gas from the Marcellus Shale region. Project shippers state they believe that the project will provide a reliable, flexible, and diverse supply of natural gas that will lead to increased price stability, and the opportunity to expand natural gas service in the future. Based on the record before us, we find no reason to second guess the business decisions of these shippers that they need the service to which they have subscribed. With respect to the ability of alternatives to meet the project’s need, our environmental review considered the potential for renewable energy and energy conservation, and the availability of capacity on existing or proposed natural gas systems, to serve as alternatives to the project and concluded that they do not presently serve as practical alternatives to the project. Specifically, the final EIS stated that renewable energy and energy efficiency measures to reduce the dependence on natural gas is not a comparable replacement for the transportation of natural gas to be provided by the project. Moreover, the final EIS found that there is not sufficient available capacity on existing pipeline systems to transport all of the volumes contemplated to be transported by the PennEast Project to the range of delivery points proposed by PennEast, and that expansion of existing pipeline systems was not a feasible alternative. As we have previously concluded in natural gas infrastructure proceedings, the environmental effects resulting from natural gas production are generally neither caused by a proposed pipeline (or other natural gas infrastructure) project nor are they reasonably foreseeable consequences of our approval of an infrastructure project, as contemplated by CEQ regulations. We have reviewed the information and analysis contained in the final EIS regarding potential environmental effects of the project, as well as other information in the record. We are adopting the environmental recommendations in the final EIS, as modified herein, and are including them as environmental conditions in Appendix A to this order. Compliance with the environmental conditions appended to our orders is integral to ensuring that the environmental impacts of approved projects are consistent with those anticipated by our environmental analyses. Thus, Commission staff carefully reviews all information submitted. Only when satisfied that the applicant has complied with all applicable conditions will a notice to proceed with the activity to which the conditions are relevant be issued. 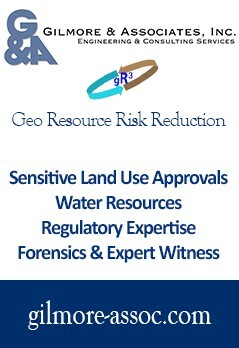 We also note that the Commission has the authority to take whatever steps are necessary to ensure the protection of all environmental resources during construction and operation of the project, including authority to impose any additional measures deemed necessary to ensure continued compliance with the intent of the conditions of the order, as well as the avoidance or mitigation of unforeseen adverse environmental impacts resulting from project construction and operation. The Daily Star of Oneonta had a pro pipeline editorial yesterday. Perhaps there is a changing mindset with this colder weather.I was very suprised.I am sure it caused a lot of heartache for the stop the pipeline folks. Sign-up for our Sunday updates.